After suffering a personal injury, a decisions must be made about whether and how to negotiate a claim, and if and when to file a lawsuit. These two avenues both look to recoup for medical expenses, pain, and suffering. and there must be recoverable damages. 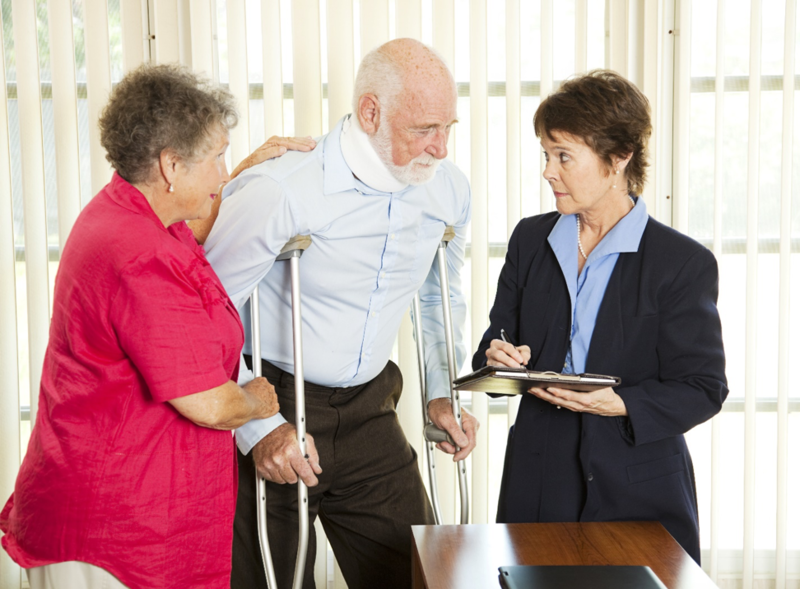 If all these circumstances apply, a personal injury claim or lawsuit can be considered. Generally a bodily injury claim will be filed with the responsible party’s applicable insurance before a lawsuit is even considered. Insurance companies prefer to be notified of an incident that resulted in bodily injury as soon as possible, and it is important for a claim to be made right away. Once a claim is filed with an insurance company, that company will then start to investigate the allegation. A claims adjuster will determine if negligence on behalf of their insured party was the cause of the incident. The adjuster will then review the injured party’s medical records to verify the severity of the injury. While this process is ongoing, the personal injury attorney representing the injured party will be collecting relevant medical and billing records, so that a demand for compensation can be made of the at-fault party’s insurance. This demand letter will be sent to the insurance company. The demand letter will detail all the specifics of the accident and the injuries, as well as the amount the injured party feels entitled to as compensation for their medical expenses and pain + suffering. Once the demand letter is sent, the negotiation process will begin between the personal injury attorney and the claims adjuster. If a settlement cannot be agreed upon, it is time to move forth in filing a lawsuit. A lawsuit is the next step if an injured party declines the responsible insurance company’s settlement, or if the responsible insurance denies liability. Lawsuits can be filed at any time after the accident that results in injury occurs. Typically injuries that end up in trial have to be very serious, such as accidents that produce significant damage causing permanent full or partial disability or limitations. These are known as threshold injuries. A personal injury lawsuit can also arise in cases where the value of the injuries and other losses surpasses the policy limit of the insurance policy that relates to the case. The lawsuit would be considered civil legal action brought against the responsible party or entity. There are, however, time restrictions for filing such a lawsuit. Statutes of Limitations vary by state, so it is best to check the laws of that state in which the accident occurred. Trying to gain financial compensation for injuries suffered is a difficult process that requires the expertise of Counsel, and the pursuit of damages is generally best left to the professionals. The Law Office of Matthew L. Collins are experts in the area of personal injuries, and we work tirelessly to ensure that our clients are awarded the financial compensation they deserve. We can assist in negotiating a settlement for a personal injury claim, and provide legal representation in personal injury lawsuits as well. The Law Office of Matthew L. Collins is located in Lawrenceburg, KY and provides service to the surrounding Central Kentucky area, including Anderson County, Woodford County, and Fayette County.